May 29 (Reuters) – KPJ Healthcare Bhd , Malaysia’s largest private hospitals provider, plans to seal at least two acquisitions of hospitals by end of this year as it expands its regional reach, its managing director said on Tuesday. Siti Sa’Diah Sheikh Bakir told Reuters that one of the acquisitions was likely to be in Malaysia with the other in another Southeast Asian country. The company has about 400 million ringgit ($127 million) in short-term financing to fund the purchases, she added, without disclosing the value of its potential acquisition targets. “There are a lot of offers on the plate and we have to choose the best,” she said. KPJ’s expansion comes as Southeast Asia’s growing populations and increasing affluence are fuelling demand for healthcare services. Citing Myanmar as an example, Siti said residents from the second-largest country in Southeast Asia held strong purchasing power and had been attaining private healthcare services in Thailand and Malaysia. KPJ owns 20 private hospitals in Malaysia and two in Indonesia. The company has said it plans to invest more than 1 billion ringgit to set up new hospitals in Malaysia, increasing its network to 30 hospitals over the next five years. KPJ shares have surged some 24 percent year to date, outperforming the Malaysia’s benchmark stock index’s 1.58 percent rise. Analysts have said the scarcity of healthcare stocks in the region has helped fuel KPJ’s share price. KPJ’s expansion also comes as Malaysia’s state investor Khazanah Nasional Bhd plans a $1.5-$2 billion dual listing of its healthcare arm IHH Healthcare Bhd on the Malaysian and Singaporean bourses by the end of July. 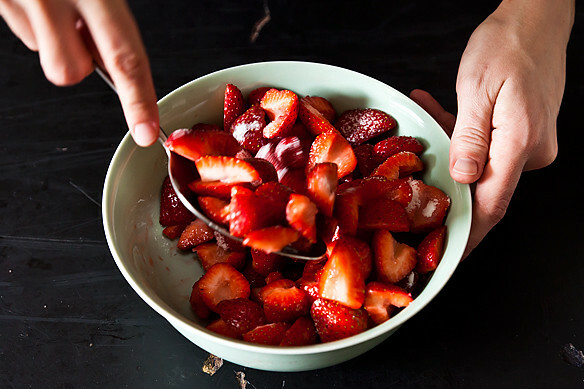 Today: The perfect strawberry shortcake for Memorial Day (and all berry season long) — thanks to an odd secret ingredient. 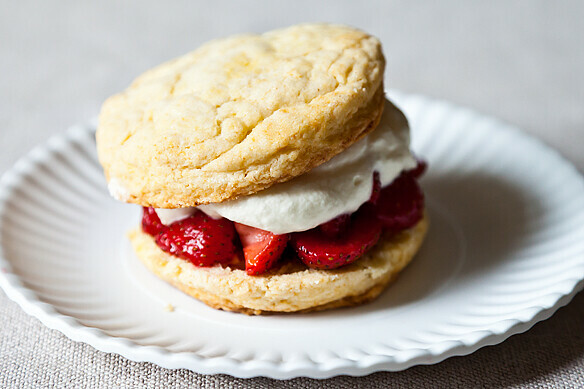 Sweet, ripe summer strawberries deserve lots of whipped cream and the perfect shortcake. 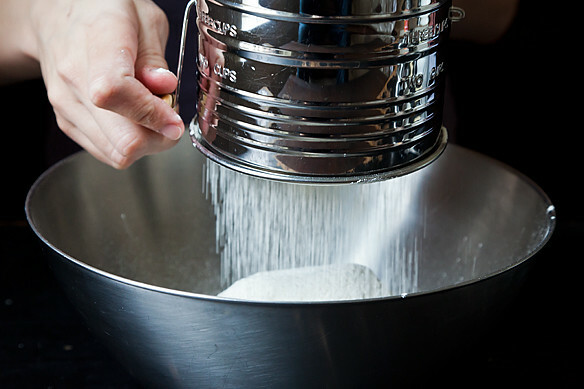 And the secret to the perfect shortcake? It’s sitting in your fridge right now, and it’s going to surprise you. 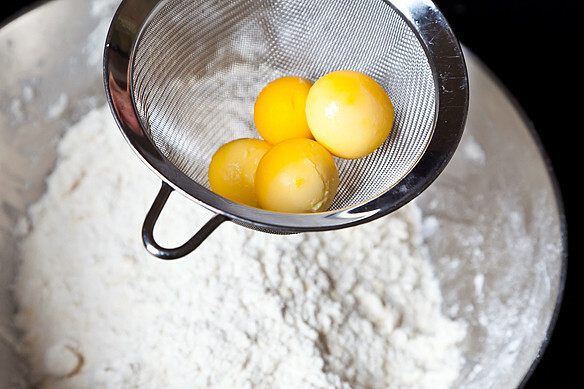 The late cookbook author James Beard — you know, the father of American cooking — learned this trick for a tender, airy cake from his mother: Egg yolks. Not so strange, right? But here’s the kicker: they’re from hard-boiled eggs. 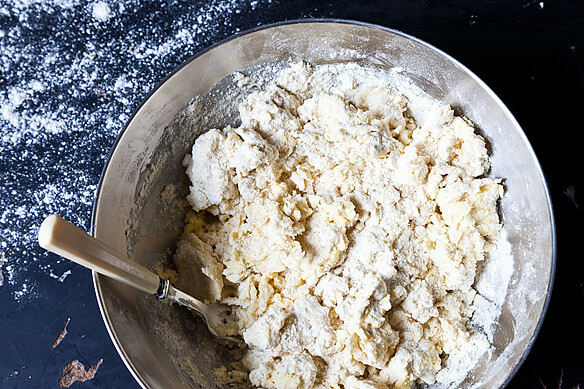 It might sound like one of the last things you want stirred in with your dry ingredients, but crumbly cooked yolk adds just enough richness without weighing down or gumming up the dough. 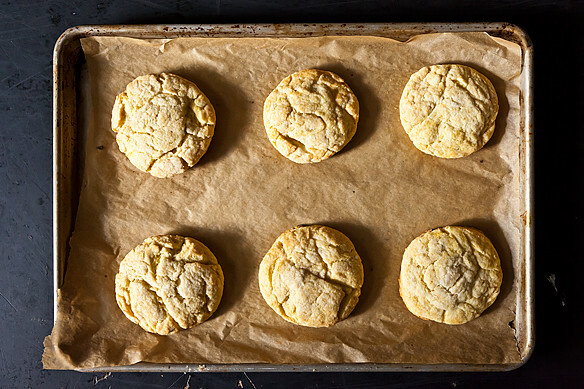 James Beard is no longer around for us to quiz about this method, but it’s become a popular technique among other cooks who love their shortcakes, so we can ask them. 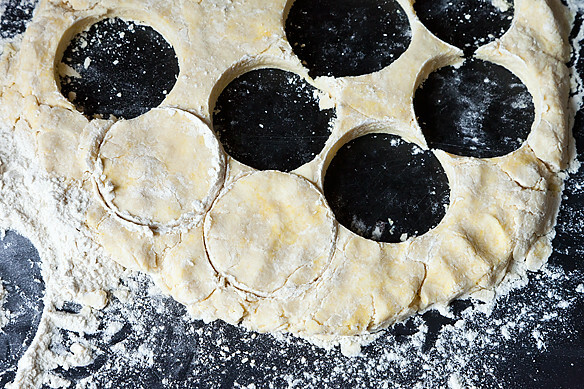 In The Pie and Pastry Bible, Rose Levy Beranbaum relies on hard-cooked yolk for her biscuit dough. 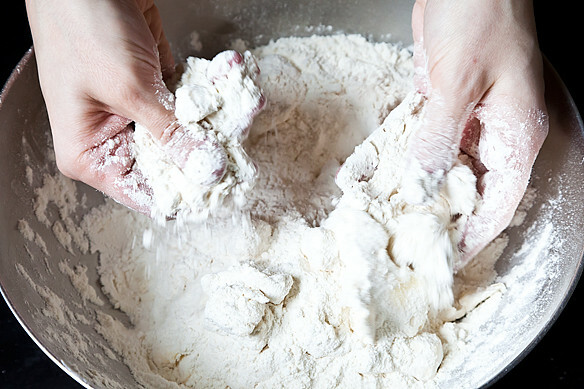 In an email, Beranbaum explained, “It adds a beautiful golden color and velvety tender texture.” And, she adds, “unlike raw egg yolk, it does not get absorbed into the flour” — a plus for keeping it light. 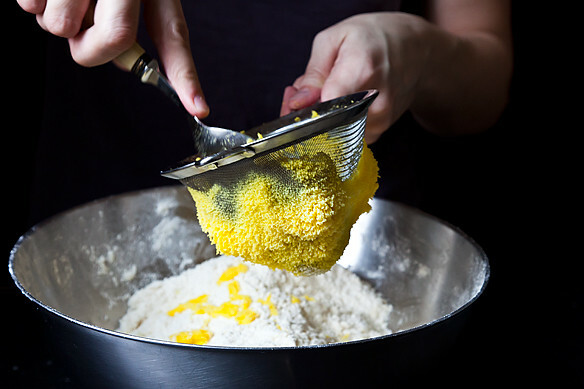 Because the fluffy yolk floats freely in the dough, food scientist Harold McGee wagers, “I imagine that it would give you a shorter, crumblier texture than you’d get by spreading the yolk proteins and fats evenly through the dough.” And it does indeed — the crumb is fine and delicate. Knowing how old recipes work, it’s likely that the technique was around before even Beard’s mother’s time. But the Beards’ version is a very good one, and has since been handed down from chef to chef. 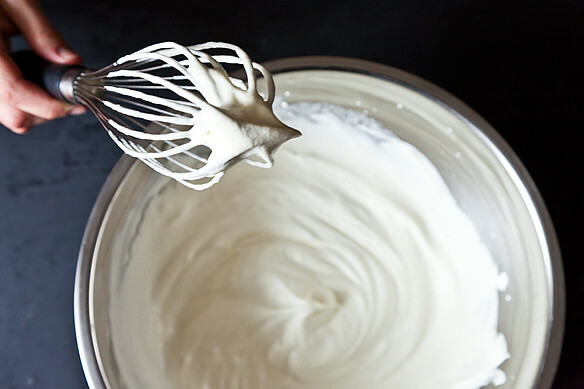 Pastry chef Claudia Fleming swears by it — she picked up the trick from the first chef she ever worked for, but Fleming says “She wasn’t much for sharing info, so I don’t know where she learned it from.” Russ Parsons — L.A. Times Food Editor and shortcake buff — is a fan too. 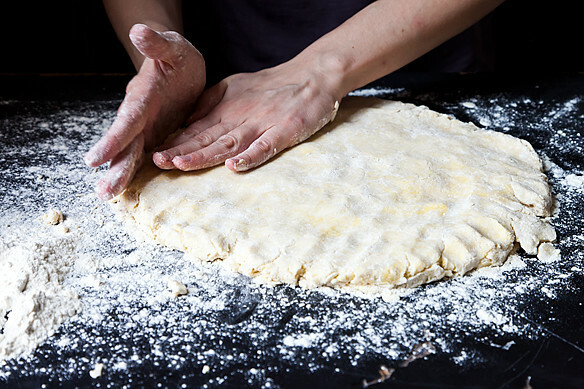 In recent years, it’s even popped up in the pastry curriculum at the French Culinary Institute — an impressive pedigree for what was once just a clever home cook’s trick. 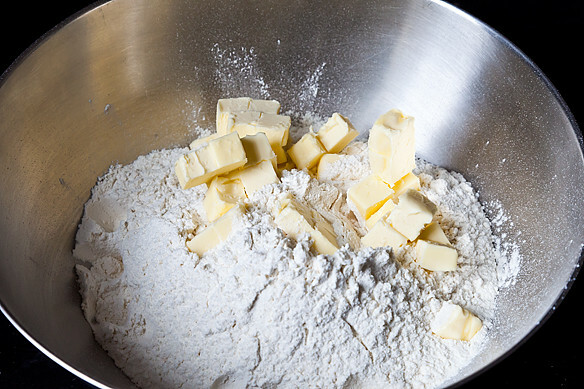 For some reason, in his twenty-plus cookbooks, James Beard never published his mother’s shortcake recipe himself. Lucky for us, he saw fit to share it with his friend Larry Forgione one night as the two were relaxing and talking food at Beard’s townhouse. 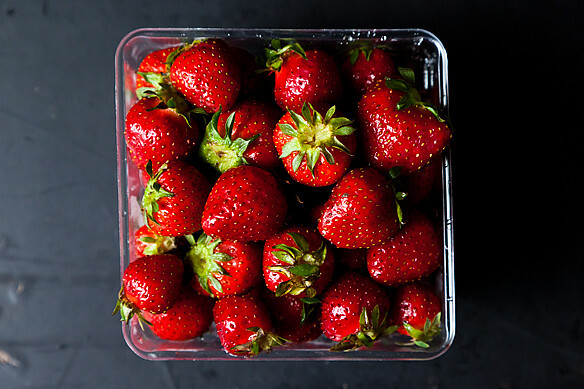 Forgione put the recipe on the menu at his iconic New York restaurant An American Place, brought it back every strawberry season, and later published it in his cookbook of the same name. As Forgione tells it, Beard believed “there can be no dessert better, only fancier.” Taste his version, yolks secretly threaded through, and you’re likely to feel the same. Slowly roast a trimmed, center-cut piece of salmon over a bed of herbs to infuse the flesh with fresh flavor; then bring it to the table in the pan so guests can help themselves. This dish is also good at room temperature or served cold at your next picnic. Za’atar, a Middle Eastern spice blend that includes sumac, herbs, and sesame seeds, is available at specialty foods stores, Middle Eastern markets, and igourmet.com. Preheat oven to 325°. Pour 4 Tbsp. oil in a roasting pan just large enough to fit the salmon. Make a bed of herbs in bottom of pan; top with salmon, skin side down. Drizzle salmon with remaining 2 Tbsp. oil and season with salt. Top with tomatoes, if using. 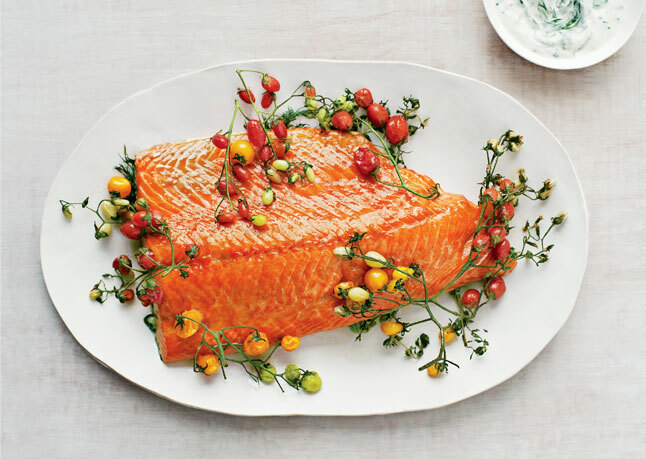 Bake until salmon is just cooked through in the center (a small knife will slide easily through flesh), 25–30 minutes. Toss tomatoes with 3 Tbsp. oil, parsley, and za’atar, if using, in a medium bowl. Season to taste with salt. Set aside. Use a large spoon or fork to serve salmon, leaving skin in pan. Serve with yogurt sauce and couscous. 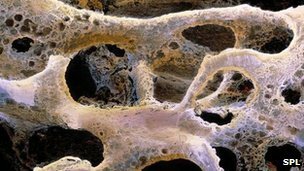 Nasa scientists believe they have found a way to spot osteoporosis bone loss at the earliest disease stages. Currently, the condition can go undetected for years and may only be diagnosed with scans after weakening of the bones has led to a fracture. 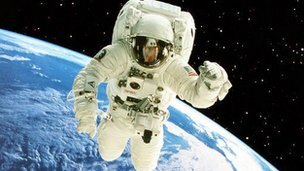 The new test – designed partly with astronauts in mind as they too can suffer bone loss due to the microgravity of space – looks for traces of bone calcium in the urine. The work is published in PNAS journal. The technique developed by scientists at Arizona State University working with the US space agency analyses calcium isotopes – different atoms of the element calcium, derived from bone and each with their own specific number of neutrons. The balance or abundance of these different isotopes changes when bone is destroyed and formed and can therefore indicate early changes in bone density. To put it to the test, the researchers studied a dozen healthy volunteers whom they confined to bed rest for 30 days. Prolonged bed rest triggers bone loss. The technique was able to detect bone loss after as little as one week of bed rest – long before changes in bone density would be detectable on conventional medical scans such as dual-energy X-ray absorptiometry (DXA). And, unlike other biochemical tests for bone loss that look for blood markers of increased bone turnover, it can give a direct measure of net bone loss. As well as being useful for diagnosing osteoporosis it could help with monitoring other diseases that affect the bones, including cancer. Dr Nicola Peel of the National Osteoporosis Society in the UK said: “It is always exciting to see new techniques being developed with the potential to increase our understanding of the evolution and mechanism of bone disease. “This approach of using calcium isotopes is very interesting and appears to have potential to detect very early changes of bone loss. More women are having multiple abortions, according to statistics for England and Wales. In 2011, 68,105 women having an abortion had already had at least one termination – up from 64,303 in 2010. The figures include 82 under-16s having their second abortion and two having their third. The overall number of abortions increased marginally by 0.2% to 189,931. The annual statistics show 34% of women having an abortion last year had had one before. It continues an increasing trend of 31% in 2001, 32% in 2005 and 34% in 2010. Seventy-six women had had at least seven previous abortions. Tracey McNeill, from the family planning organisation, Marie Stopes International, said: “We, of course, recognise that many women have multiple unwanted or unplanned pregnancies for reasons beyond their control, and it goes without saying that we believe women should have the same access to non-judgemental high quality care whether it is their first abortion or their third. “We believe we need to radically change the way we provide post-abortion contraception to women, if we’re going to reduce the number of abortions by any great number. Michaela Aston, from the anti-abortion charity, Life, said: “We should be shocked and concerned by these latest statistics, especially given the apparent decline in overall conception rates in 2011, which means that the proportion of all pregnancies that end in abortion has risen considerably. “This is despite contraception being more widely available than ever before. “As a society, we are failing to cultivate respectful attitudes to life, and failing to promote positive and responsible attitudes to motherhood, family life and sexual relationships. The British Pregnancy Advisory Service said the figures were lower than for Sweden or the US. 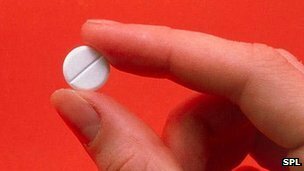 Its chief executive Ann Furedi said: “Abortion is a fact of life, because contraception fails and sometimes we fail to use it properly. The Royal Victoria Hospital’s cardiac unit is to be deep cleaned following an outbreak of a bacterial infection. Additional infection control measures were introduced after Serratia marcescens was discovered in the unit, which remains open for admissions. A number of operations have been rescheduled to facilitate the deep clean, Belfast Health Trust said. The trust said there had been a “slight increase of an unusual bug”, and it had been identified at an early stage. It said it had “instigated additional infection prevention audits, independent hand hygiene audits, extra cleaning of medical equipment, and environmental screening to help locate the source of the outbreak”. Up to seven patients have tested positive for the bug. Serratia marcescens is an organism that occurs naturally in the gut. To have it on or in the body (colonisation) is not uncommon or harmful in healthy people. 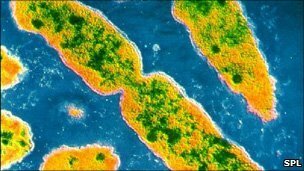 However, in cases where people are vulnerable to infection, the organism can cause serious infection.